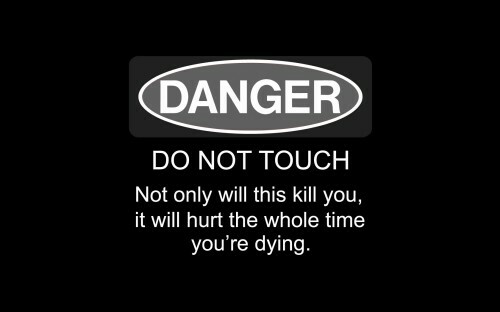 If marriage had a warning label this would be it. Ah, good. That’s the way I want to go. Do I have to make an appointment? Anytime. You can count on me…well, until I touch it. After that you’ll have to find someone else to screw up your grand posting plans. I need these signs at work. It would hopefully cut down on the number of IDIOT “hey I can fix that” clerks messing up my equipment.